Cibolo TX has many surrounding communities. 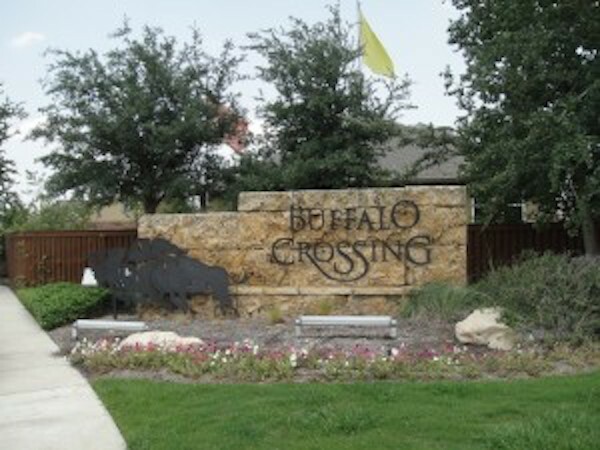 One Cibolo TX neighborhood that you may be interested in is called Buffalo Crossing. Buffalo Crossingis a semi established neighborhood consisting of one and two story single family homes. The neighborhood itself is about 12 years old and has various home builders throughout. You can find homes from David Weekly, Hogan, and Plantation Homes. Currently Buffalo crossing continues to grow with new construction in the area. New home builders with models on site include Chesmar Homes and Castle Rock. You can get to the Cibolo TX Neighborhood Buffalo Crossing easily as it’s located off of I35 on FM 1103, (or conveniently from FM 78). This community is conveniently located near Randolph Air Force Base, and close to shopping such as the Forum Shopping Center and Rolling Oaks Mall.